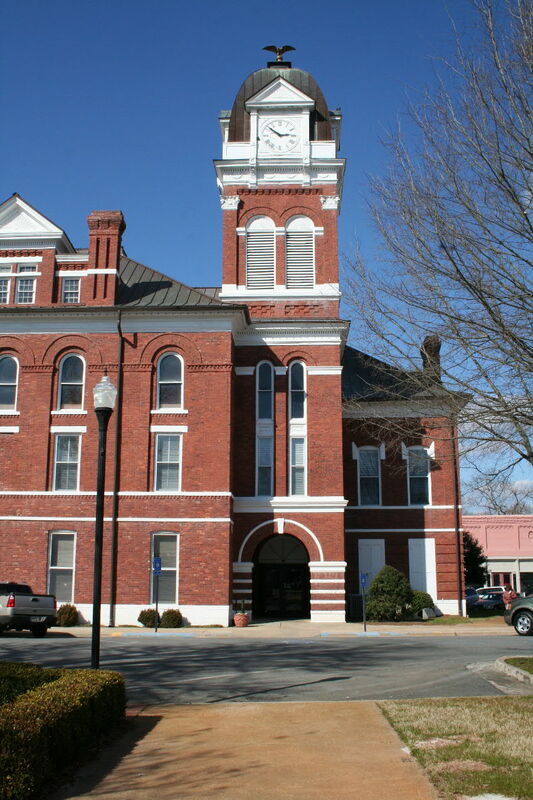 Washington County Courthouse on the town square. This replaced the one burned by Sherman's Army during the American Civil War. Everyone likes to boost their home town, and I was not embarrassed to talk about hunting in Sandersville, Georgia, and Washington County on “Hovey’s Outdoor Adventures” to air on November 18, 2011. It is Spring, the flowering shrubs and bulbs are blooming, and the town was freshly washed by a thunderstorm. I felt good about giving an unabashed endorsement of this area as a place to hunt, work, live and maybe even start your own business. A variety of hunting opportunities are available within the county. culture and the game has adapted. Largely gone now are the quail which my father hunted so avidly, but now we have deer, geese, wild turkeys, alligators and wild hogs in abundance along with some not-so-much wanted species like coyotes, armadillos and fire ants. With fewer people living in rural areas, bear are becoming more common and soon there will probably also be a state-wide bear season. Landowners commonly lease their properties to hunting clubs as a way of obtaining income from it every year as their trees grow and some leases are now available because of the down economy. One may also purchase hunting lands within the county. 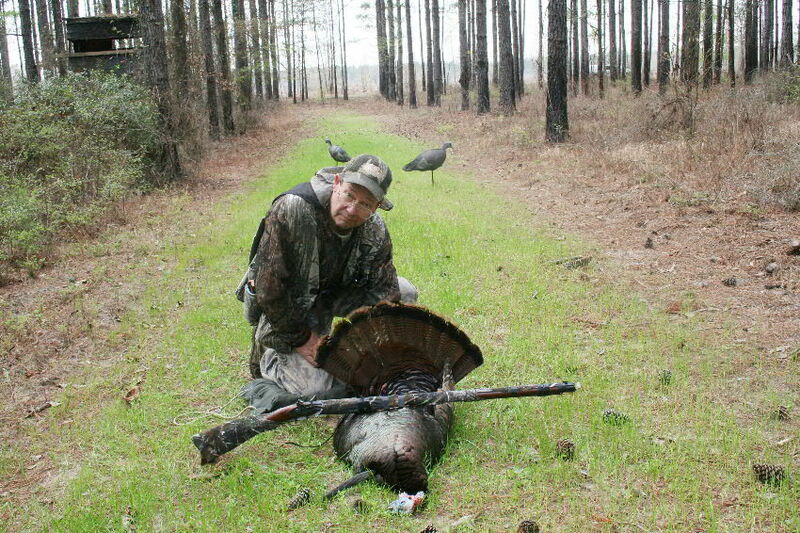 With a variety of habitat including swamplands, upland tracts, hills and generally good drainage, more opportunities exist for a greater variety of game and hunting methods than are found in more coastal Georgia. This is part of an occasional radio series that I do on “Hunting Small Town America.” A previous show featured Seward, Nebraska. Similar shows will be done in other states in coming months. 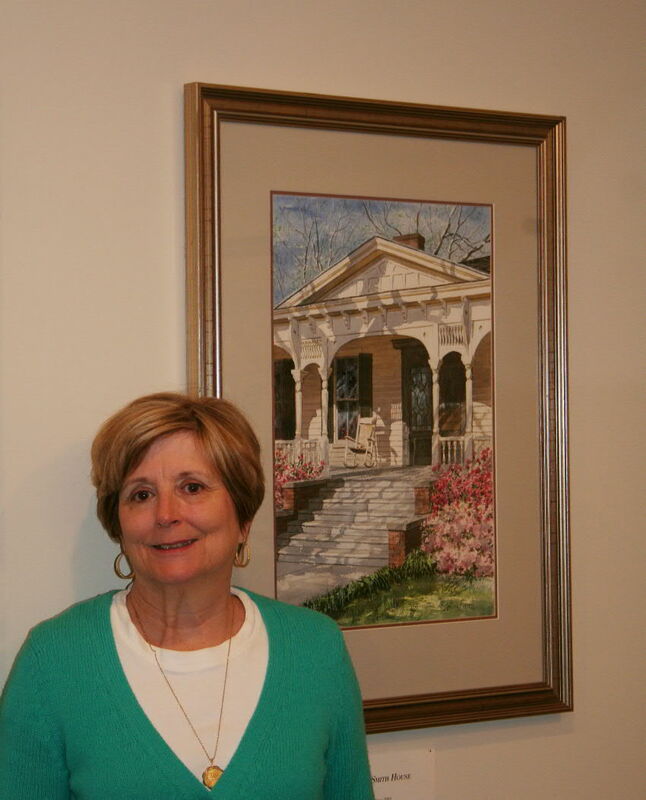 If you would like your small town featured, contact me at hoveysmith@yahoo.com. I do need to have my expenses covered for the trip and a hunting or bowfishing opportunity of some sort for a story segment. 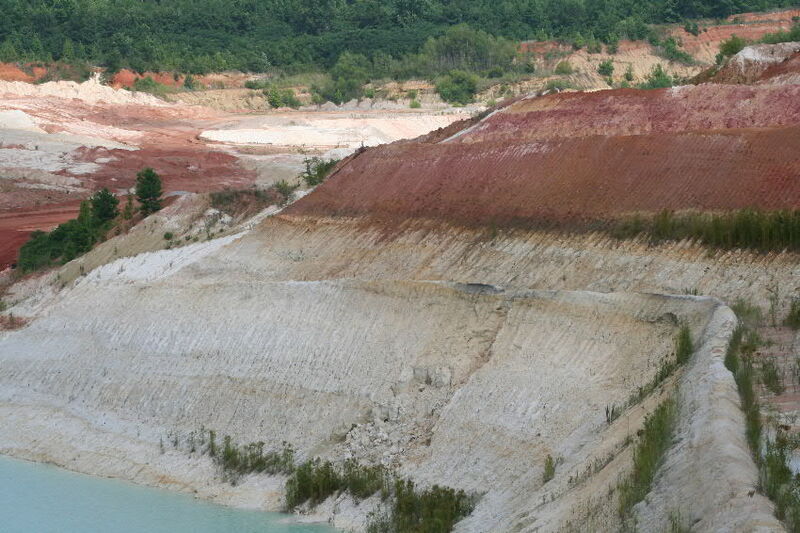 Kaolin pit prior to reclamation. Reclaimed lands are often better hunting properties than they were before mining. Kaolin, China clay, mining has been a considerable economic boost to the county in providing high-paying jobs and bringing in a highly educated work force while also financing civic improvements including a regional hospital, technical school and branch college campus. To hear this episode of “Hovey’s Outdoor Adventures” go to my website, www.hoveysmith.com and click on the live link for the show page immediately below the banner. This will bring up my page on WebTalkRadio.net. If it is not the current show, click on the “archived shows” tab on the top of the page to see a list of my past shows.